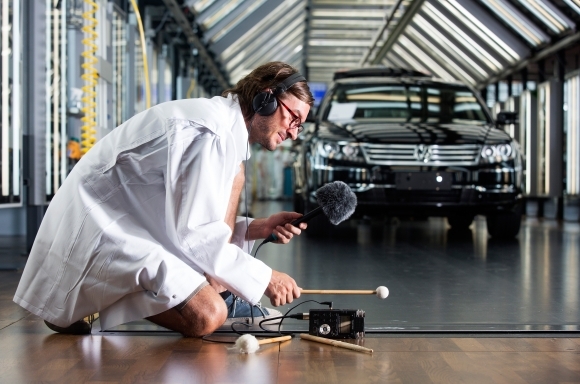 Wolfsburg, Germany - Today marks the beginning of a very special sound experience for guests of Transparent Factory: sound designer Jarii van Gohl has collected more than 120 noises heard in the production process. He also taped acoustic impressions of Phaeton. Finally he connected these files to form a single unique composition. The result lasts five minutes, can be heard in the visitors' area inside Transparent Factory. It is also available for downloading at www.glaesernemanufaktur.de. Equipped with a microphone and recorder, the artist spent two days hunting sounds. "I was aiming for my composition to bring the transparency of the building and the exclusivity of the Phaeton together in perfect harmony," describes Jarii van Gohl. He goes on to explain that "the lighting conditions and the extremely low noise level were particular sources of inspiration". Jarii van Gohl was born in Jena in 1977. He majored in media studies and social affairs at the Ernst-Abbe-Fachhochschule in his home town. In addition to sound design, Van Gohl dedicates much of his time to the composition of tones and auditive media design. 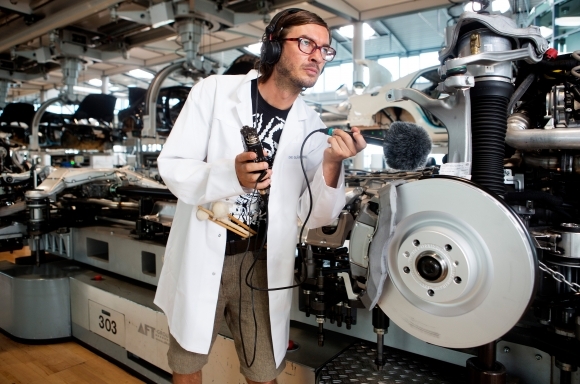 Collaboration with the sound artist is just one of the many cultural projects at Transparent Factory. In May 2013, for example, the New York Philharmonic Orchestra performed a concert at the Phaeton production site. The Factory also continues to enjoy a long and fruitful partnership with the Semperopera in Dresden and the Saxon State Orchestra.